Alessandro Bacci's Middle East: Book Worth Reading: MAPPING THE OIL & GAS INDUSTRY TO THE SUSTAINABLE DEVELOPMENT GOALS: AN ATLAS by I.F.C., IPIECA, and U.N.D.P. Book Worth Reading: MAPPING THE OIL & GAS INDUSTRY TO THE SUSTAINABLE DEVELOPMENT GOALS: AN ATLAS by I.F.C., IPIECA, and U.N.D.P. The International Petroleum Industry Environmental Conservation Association (Ipieca) has partnered with the United Nations Development Programme (U.N.D.P.) and the International Finance Corporation (I.F.C.) to develop a shared understanding of the implications of the U.N. Sustainable Development Goals (S.D.G.s) for the oil and gas industry and how the industry can most effectively contribute. 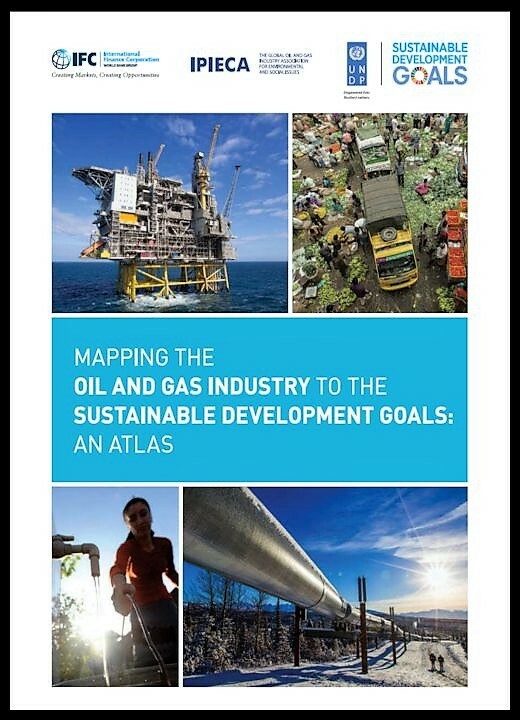 Their joint report, Mapping the oil and gas industry to the Sustainable Development Goals: An Atlas, was launched at the U.N. High-Level Political Forum in New York, U.S.A. in July 2017. This forum is the U.N.’s central platform for follow-up and review of the 2030 Agenda for Sustainable Development and the Sustainable Development Goals. The Atlas explores the links between the oil and gas industry and the S.D.G.s and seeks to facilitate a shared understanding of how the industry can most effectively support the achievement of the S.D.G.s. The oil and gas industry is committed to responsible and sustainable business, as well as serving as an essential partner to meet the challenge of achieving the S.D.G.s. The Atlas outlines the typical roles and responsibilities of key stakeholders in enhancing the industry’s contribution to sustainable development. It presents examples of good practice in the industry, alongside existing knowledge and resources on sustainable development that could help the industry make useful contributions to the S.D.G.s. The Atlas presents the S.D.G.s goal by goal, focusing on the contribution the oil and gas industry can make to each goal by integrating it into core business operations and by identifying opportunities for oil and gas companies to collaborate with other stakeholders and leverage experiences and resources in support of the goal. Each chapter also includes case studies of innovative and sustained efforts by companies, often working collaboratively.